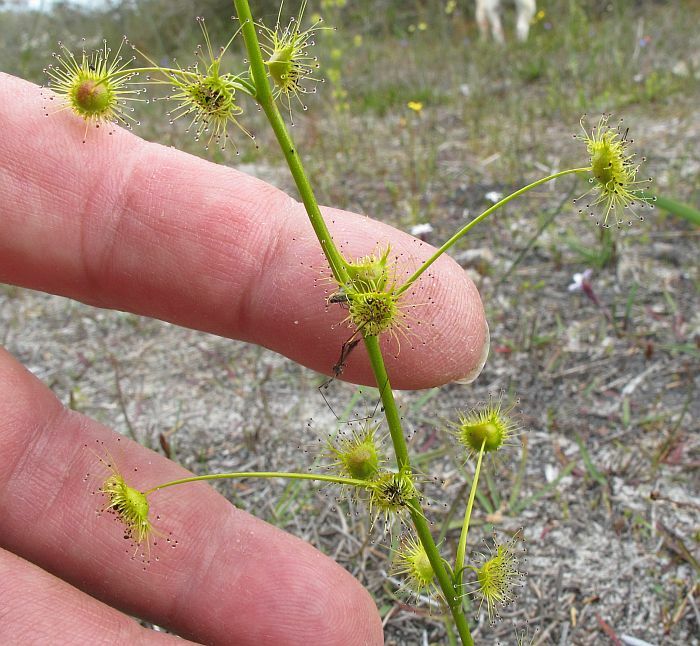 Plants in the large worldwide Drosera genus have long sticky glandular hairs on their leaves that will attach themselves on cantact to any small invertebrate and unless they are strong enough to pull free, will be held fast and consumed as its body reduces to an absorbable fluid. 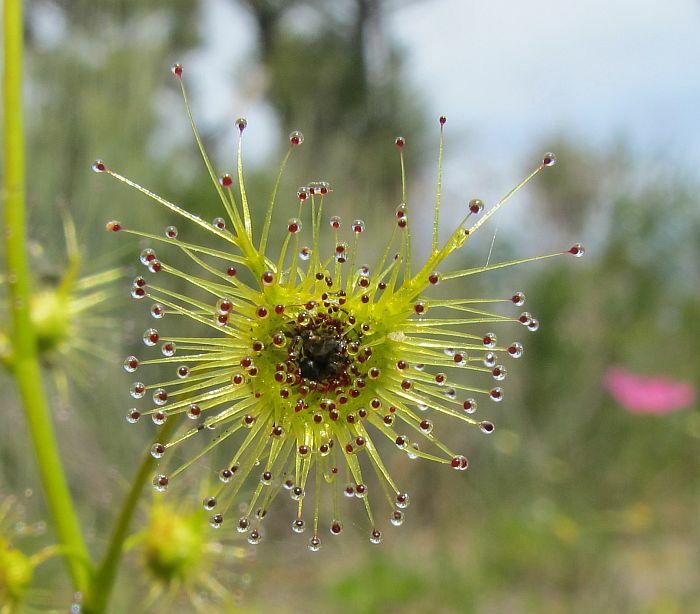 Such plants are termed carnivorous, with Drosera being the most numerous to have evolved to extract nutrients directly from animals, rather than soil like most other plants. 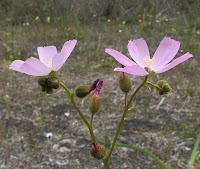 Drosera neesii has two subspecies, with this subspecies the most widely distributed (mostly near coastal) from Cape Arid to north of Perth, whilst the other subsp. borealis extends with little or no overlap, further north from there to Kalbarri. The flowers of Drosera neesii subsp. neesii can be quite variable in color, being recorded in white and various shades of pink. Around Esperance, flowers are mostly pink. The subsp. 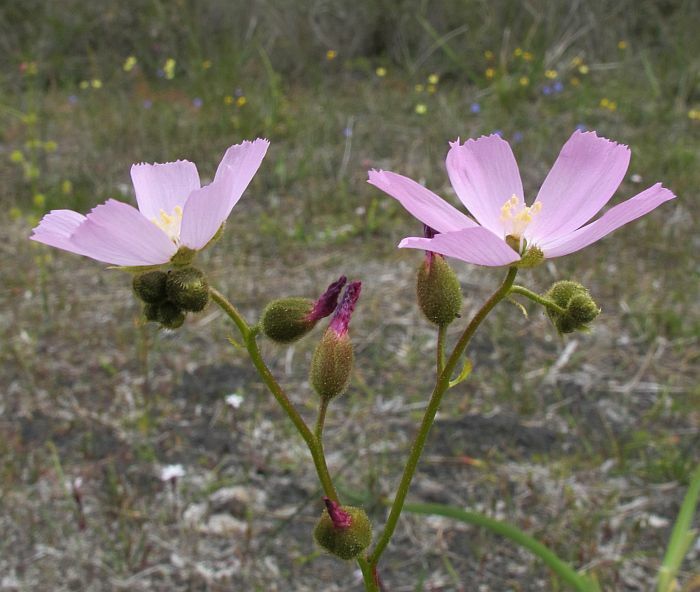 neesii is very common in non-calcareous sand/peat loams of low lying areas, especially flood plains, but is also found around swamps and granite outcrops. The plants are erect to 60 cm (2’) although mostly half that. 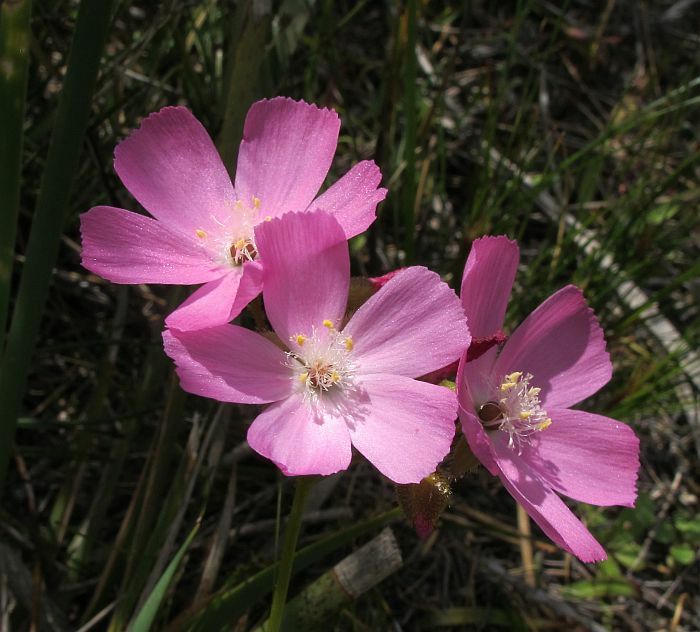 They are self-supporting and can form extensive colonies, although are not congested, but spaced 30-60 cm (1’-2’) apart to make an extensive low wispy vertical arrangement that is quite ornamental, but unfortunately difficult to capture in a photograph. 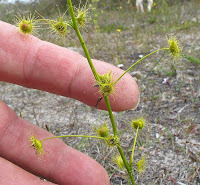 Initially the leaves (lamina) are a pale green/yellow color, but age orange/red before dying back to their tuber to reappear the following August. 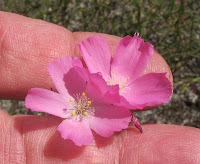 Flowers are very delicate and individually short-lived and must be pressed immediately to preserve good specimens. 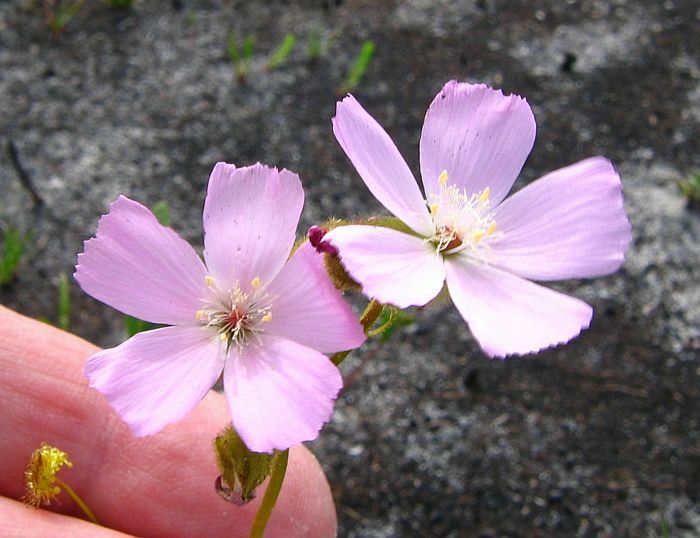 They can be encountered from September to December on mild calm humid days, when usually they are out in some number.